Samples of graphene composites with matrix of copper were prepared by electrochemical codeposition from CuSO4 solution with graphene oxide suspension. The thermal conductivity of the composite samples with different thickness and that of electrodeposited copper was determined by the three-omega method. 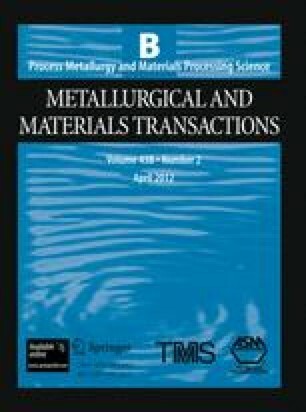 Copper-graphene composite films with thickness greater than 200 μm showed an improvement in thermal conductivity over that of electrolytic copper from 380 W/m.K to 460 W/m.K at 300 K (27 °C). The thermal conductivity of copper-graphene films decreased from 510 W/m.K at 250 K (–23 °C) to 440 W/m.K at 350 K (77 °C). Effective medium approximation (EMA) was used to model the thermal conductivity of the composite samples and determine the interfacial thermal conductance between copper and graphene. The values of interface thermal conductance greater than 1.2 GW/m2.K obtained from the acoustic and the diffuse mismatch models and from the EMA modeling of the experimental results indicate that the interface thermal resistance is not a limiting factor to improve the thermal conductivity of the copper-graphene composites. Manuscript submitted August 14, 2011. This research is supported by National Science Foundation Grant CMMI #1049751.